More troops going to the Southern border to erect wire barriers and do surveillance …. 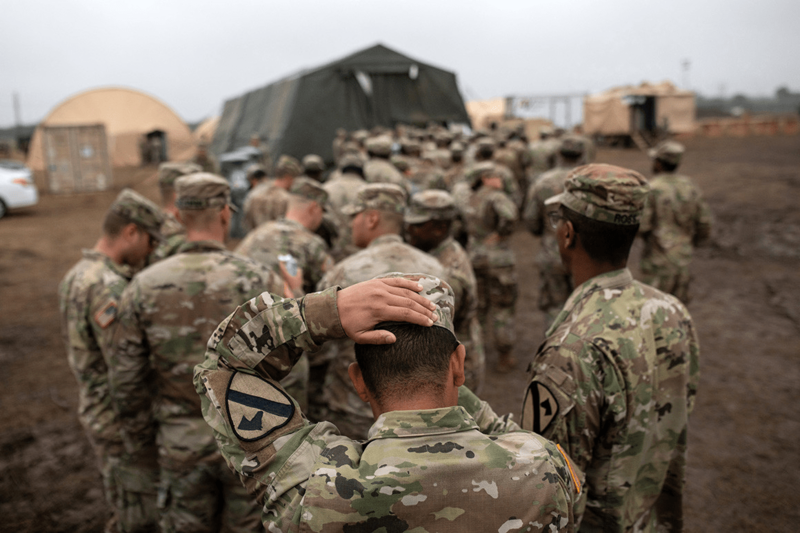 More US military support troops are being deployed to the US/Mexican border at the request of the Department of Homeland Security…. The rotation of support troops has actually be a regular thing since the Obama admin…. The military is identifying units to meet the request and expects them to deploy soon, Shanahan’s spokesman later added. “Most recently DHS has asked us to support them in additional concertina wire and then expanded surveillance capability, and we’ve responded with, you know, here’s how many people it would take” to meet the request, Shanahan told reporters at the Pentagon today. The military is “currently sourcing the units involved and there will be an increase of a few thousand troops,” Shanahan’s spokesman, Lt. Col. Joe Buccino, added in a statement. “We will provide more clarity on the numbers when we have it.”….